At first, the limp-wristed protagonist, Louise, a single parent who has cocooned herself and her son a minute bubble world, does not inspire sympathy. However the writer, Marshall, skillfully engages the reader’s compassion with glimpses of Louise as a schoolgirl wrought by the commonplace complexities of teenage angst. Since this is a first person account, my antennae are on high alert for clues of an unreliable narrator because I don’t want to be hoodwinked or sandbagged. But after a few chapters, I have fistfuls of gritty sand in my blinking bloodshot eyes late into the night. I have to keep reading. What is the truth and how quickly can I find out? One of the hallmarks of a good book is the ability to transport the reader to another world. 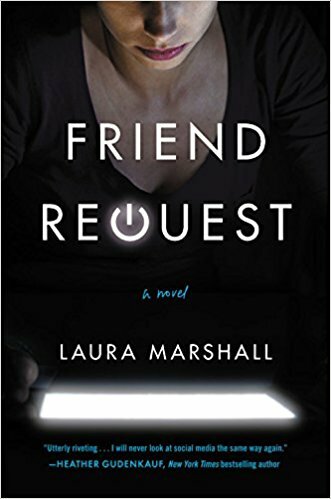 Another indicator is to tip the reader off kilter, just enough to teeter on the brink where the reader’s world and the fictional account could so easily be true and might be real: that is the badge of an artful storyteller, and her name is Laura Marshall. This debut is a robust, first-round. Can’t wait for a hidden second bout.